This User Guide will show you how to use all of TroopWebHost's capabilities. Click on the << Previous and Next >> links at the top (and bottom) of each page to view the pages sequentially. Use the search box in the top right corner of the page to search for pages that contain a specific key word. Avoid using common words like "the" or "and" in your search. For example, if you want to find out how to keep track of patrols, just enter "patrol" into the search box and click on Go, as shown below. Use the Print This Chapter link at the bottom of the page to view the current chapter in a new window, without the heading or menu, and invoke your browser's print function. The leader who purchased your troop's subscription to TroopWebHost will receive two e-mails within 36 hours of placing the order. The first will contain a link to your website and the leader's User ID; the second will contain the leader's password. You will also find a link to your site at http://www.troopwebhost.com/Logon.htm and at https://www.TroopWebHost.org/Index.aspx. But that isn't how it's going to look after you start working on it! After you've read through the instructions on this page, log on to your site and start editing your home page. When you first visit your site, the top of the page will look like this. The main menu is accessed from the menu icon in the upper left corner of the page. We'll show you what the menu looks like further dcown this page. You'll see your unit's name just to the right of the menu icon. Click on the name to go to your home page. Next to that you'll see your four most popular menu items in what we call the "Quick Menu". These menu items are selected automatically based on the number of times each public menu item has been accessed in the last month. Your site administrator can override these selections using the Configure Public Quick Menu page on the Menu Configuration submenu of the Administration menu. The Log On link will bring up the new Log On window, which we'll show you on the next page. The cog icon in the upper right corner of the page will bring up the new Tools Menu, which will allow you to set the page format, choose an alternate language, and bookmark the site. After you log on to the site, the options at the top of the page will look like this. The Quick Menu is now personalized to you. It will contain the four menu items that you've spent the most time in over the past month. You can override these selections using the Configure My Quick Menu option on the Tools menu. The Help icon will bring up a menu that takes you to the User Guide. The Tools menu has additional choices, which let you change your password and configure your Quick Menu. Click on the menu icon to view the main menu, as shown below. At first you will only see the top level items. Click on any of those items to see its submenu. Click on it again to make the submenu disappear. Click on the cog icon in the upper right corner of the page to reveal the Tools menu. Click on Format to display this pop-up window. The system should automatically detect whether you are operating on a desktop PC or a mobile device based on the physical width of your screen. But if for some reason you need to change that setting, you can do it here. The Smart Phone / Mobile Device setting will cause all grids to be collapsed into a single column. Click on Configure My Quick Menu to see the screen shown below. Your personal Quick Menu will be automatically reset every night based on the four menu items that you've accessed most frequently in the past month. You can disable this process by unchecking the checkbox. You can then select the items to appear on your Quick Menu, which will remain in place until you change them. You'll find the Log On link in the upper right corner of the page. Click on this link to display the Log On window, as shown below. Type your User ID and Password into the boxes and then click the Log On button. You can use your TAB key to move from field to field. If you click on the Remember me at this computer checkbox you won't have to logon again the next time you come to your site. Do not check this box if you are on a public computer (like in a public library), or a computer that you share with people who should not be allowed to access your troop's website. If you click on Forgot User ID or Password? the system will prompt you for your e-mail address and send you an e-mail with your login information. If you've forgotten both your User ID and Password, begin by clicking on the User ID button. NOTE: This function will only work if your e-mail address is on your membership record. Type in the e-mail address that you registered with the troop, then click the Send button. You will receive an e-mail with the User IDs associated with that e-mail address. To retrieve your password, click on Password, enter your User ID and press Send. You will receive an e-mail with the Password for this User ID. Before you jump into building your new website, take some time to get organized. At your next troop committee meeting, discuss how you plan to use your website. 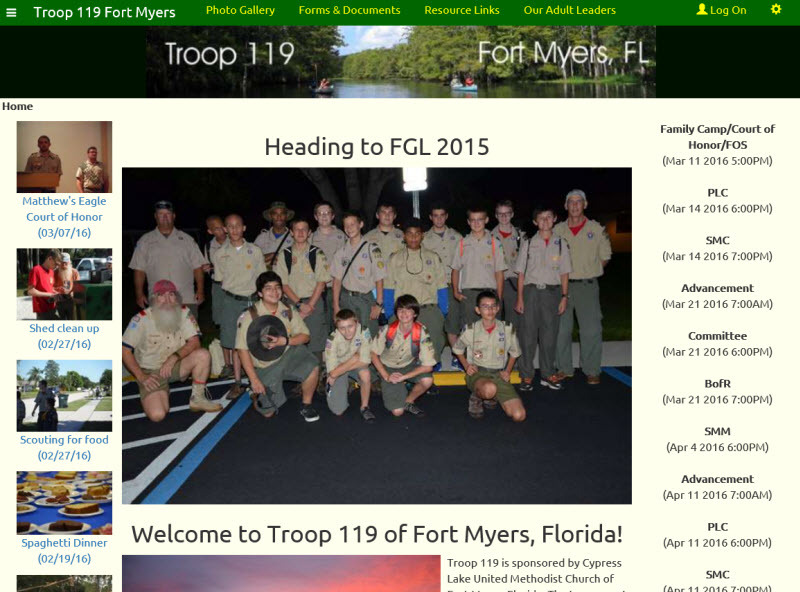 What should your Home Page say about your troop to the general public? Will you post photos and/or videos of troop events on your website? Do you want to track rank advancement and merit badges? Does your treasurer want to use the troop accounting capabilities?
. . . Edit the Home Page and About Our Troop page?
. . . Enter upcoming events into the troop calendar?
. . . Upload photos and videos from recent events?
. . . Load the troop roster and keep it up to date?
. . . Record requirements earned toward merit badges and rank advancement?
. . . Maintain troop accounts and enter monetary transactions?
. . . Set up users and assign permissions? Now you're ready to prepare a checklist of tasks to bring your website up to speed. This checklist will help you implement all of the features of TroopWebHost. Enter upcoming events. Use "Copy An Event" to set up meetings. Many scout troops use a software package called TroopMaster™. It provides many of the same capabilities as TroopWebHost. Unlike TroopWebHost, it stores its data on the hard drive of the computer on which it is installed, which makes it difficult to share information with other computers. TroopMaster™ allows you to export data to a text file which can be uploaded to TroopWebHost. Scouts. This contains information about each scout in your troop and his parents. Adults. This contains information about each adult leader in your troop. Individual History. This will transfer rank requirements earned, completed merit badges, partial merit badges, awards earned, training, and leadership history for each scout. Individual Participation History. This will transfer camping nights, service hours, hiking miles, cycling miles, and paddling miles for each scout. We recommend that you perform the uploads in the order indicated above. Unlike TroopWebHost, TroopMaster™ stores information about adult leaders separately from information about parents, even if it involves the same person. This means that information about an adult - such as current address or phone numbers - can be updated in one place but not the other, with no clue as to which one is correct. 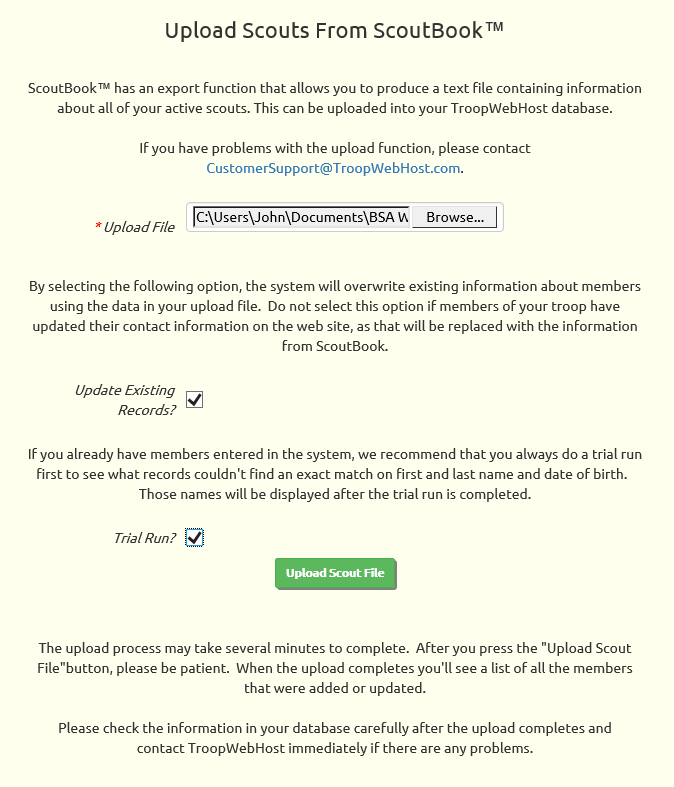 When you upload the Scouts file into TroopWebHost, the program will create a new record for each parent of each scout. If two scouts have the same parent, it will use the parent's name to link to an existing record rather than create a duplicate. If you think the information you have in TroopMaster™ about your adult leaders is more accurate than the corresponding parent records, you may use the "Update" option to apply that information to the parent records loaded earlier. The next few pages provide more information on each type of upload. The Individual History report provides a detailed record of when each scout completed each rank requirement. It also lists each completed merit badge, each merit badge that has been started, awards that have been earned, and training and leadership history. The Individual Participation History report lists every troop event in which each scout has participated. The next page of the User Guide will show how to load the Individual Participation History report. The Individual History report is available in two versions: one that uses the 2016 rank requirements which you select from their "Awards/Advancement" submenu under "Reports", and an "old rules" version which you select from their "Awards/Advancement (old rules" submenu that uses the previous rank requirements. You will need to produce both versions of this report to successfully transfer your rank advancement data. Open your TroopMaster™ software and select Individual History from the Reports menu. Select the "Text" format. Do not select PDF or rich text. Run this process twice, creating two output files: one using the 2016 rank requirements, and one using the "old rules". Remember where you saved these files so you can find them when you're ready to upload them. After you've created the files, open them to verify that all of your active scouts are in both files. If you are unable to achieve this, you may want to use the alternative One File approach, which only uses the "new rules" version of the Individual History Report. When you are ready to upload these files, log on to your TroopWebHost site and go to Advancement → Upload Advancement → Upload Individual History to view a page like the one shown below. Use the Browse button to find the file you wish to upload. Always begin with the version of the file that uses the 2016 rank requirements. After you've successfully loaded this file, immediately load the "old rules" file. Here's why they must be loaded in this order. By default, in TroopWebHost all scouts will be set to use the 2016 requirements. The file with the 2016 rank requirements contains clues that allow us to detect scouts who completed a rank using the previous requirements. The upload will reset those scouts to the old requirements, which will allow the "old rules" file to populate those ranks for those scouts. (This "reset" is not permanent, which is why the second file must be loaded immediately after the first one.). The "old rules" file does not provide any clues as to which version of the requirements the scout used for a given rank, so it cannot be loaded first. Click the Upload Individual History Report button to begin the upload. All rank requirements that have been completed by each scout. If you entered "Complete" in TroopMaster instead of a date, we will set the completion date to 1/1/2000 in TroopWebHost. All merit badges that have been completed by each scout. All merit badges that have been started by each scout, as long as you've entered a start date for that badge in TroopMaster. All awards that have been earned by each scout, but only if we can find an exact match for the name of that award in the TroopWebHost Special Awards table. The leadership history for each scout, but only if we can find an exact match for the name of that position in the TroopWebHost Leadership Positions table. All training that was completed by each scout, but only if we can find an exact match for the name of that training course in the TroopWebHost Training Courses table. The Individual History report includes no indication of whether a given rank, merit badge or award has been recorded or presented. As a result, the upload will not set the Date Awarded, Court of Honor Date, or Date Submitted to Council. These dates should be set after the upload using the Set Award Date function. The upload may take several minutes. When it finishes, it will display a status report like the one shown below. The status report begins by listing the awards, leadership positions and training courses for which an exact match could not be found. This may be because the name of that item is spelled differently in TroopWebHost. Or it may be missing entirely from TroopWebHost. Save a copy of this report. You can copy the entire page and paste it into a word processing program if you don't want to print it. Once you've updated these tables, you can reload the file again. You can reload the file as many times as you'd like without fear of creating duplicate entries. If you were unable to create the "old rules" version of the Individual History Report with all of your scouts, click the Switch to One File Version button on this page. This will take you to a page that only requires the "new rules" version of the report, as shown below. The process for creating and processing the files is the same as described above, except that you will only upload one file that was created using the 2016 requirements. If you have any problems with the upload that you cannot resolve, please attach both files to a support ticket along with a detailed description of the problem, and we will try to resolve it for you. It also possible to migrate your data from Troopmaster's web-based software, known as TM Web 2.0. Personal Data. 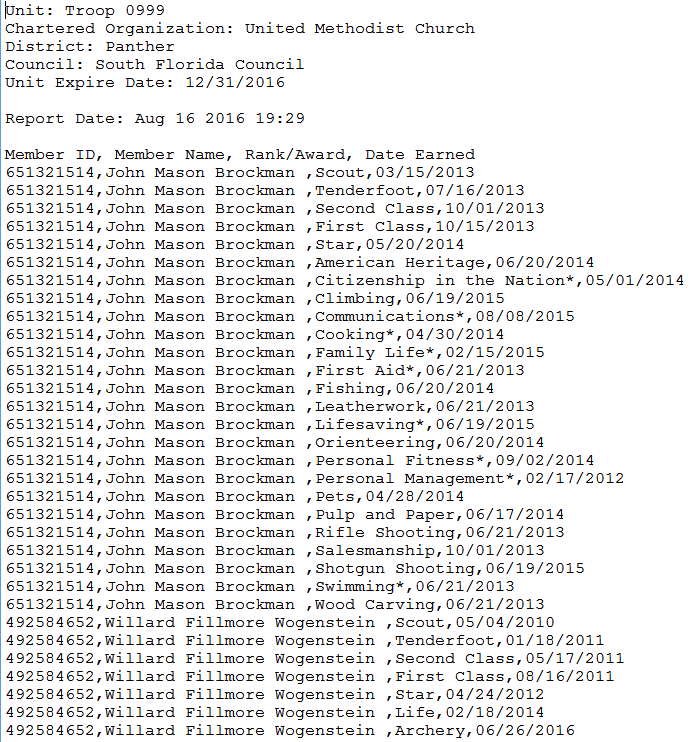 This contains contact information for each scout, his parents, and other adult leaders. Individual Participation. 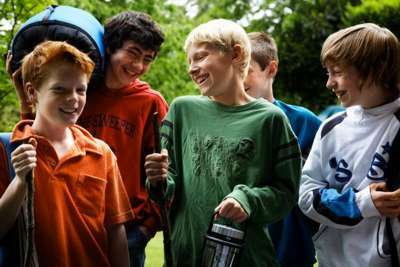 This will transfer camping nights, service hours, hiking miles, cycling miles, and paddling miles for each scout. The next few pages provide details on each type of upload. The first file you should transfer from TM Web 2.0 is the Personal Data file. It contains information about each scout in your troop and his parents. From the "File" menu, select "Export", and then select "Export Personal Data". Under "Include Scouts", select "All Scouts". Under "Include Adults", select "All Adults". Under "Include MBCs", select "No Counselors". Under "Include POCs", select "No Contacts". Under "Select the fields to include your export", select all fields. Press the "Export CSV" button to create a file. In TroopWebHost, open the Membership menu and select Upload Members, then select Upload Members From TM Web 2.0. Click the Browse button to find the Scout file that you exported from TM Web 2.0. Click the Upload Personal Data File button to begin loading this data into TroopWebHost. It will update records when an exact match is found on first and last name. We strongly recommend that you use the Trial Run option the first time you load any new file, to make sure you are not accidentally creating duplicate records for people already in your system. This function should not be used unless you have completed the transition to the 2016 rank requirements in TM Web 2.0 for all of your scouts' uncompleted ranks. You must have your preferences set in TM Web 2.0 so that scout's names are displayed beginning with the last name, followed by a comma, followed by the nickname or first name. Dates should be displayed with a two digit year, like this: 12/25/16. From the "Reports" menu, select "Advancement", then select "Individual History". Under "Merit Badges", select "Earned MB List" and "Partial MB's", but do not select any of the options under "Partial MB's"
Under "Other", select "Special Awards", "Training", and "Leadership History"
Click the "Generate Report" button. This should create a PDF file. Open the PDF to verify that all of your active scouts are listed. When you are ready to upload these files, log on to your TroopWebHost site and go to Advancement → Upload Advancement → Upload Individual History PDF from TM Web 2.0 to view a page like the one shown below. Use the Browse button to find the PDF file you produced from TM Web 2.0. Press the Update Individual History Report button and then wait for the process to complete. All rank requirements that have been completed for ranks not yet earned. If you entered "Complete" in TroopMaster instead of a date, we will set the completion date to 1/1/2000 in TroopWebHost. All merit badges that have been started by each scout, but not which requirements have been completed. The upload may take several minutes. When it finishes, it will display a status report. TM Web 2.0 can produce an Individual Participation report that provides the details on scout participation in past troop activities. From the "Reports" menu, select "Activities", then select "Individual Participation". Do not select any of the options under "Summary". Under "Select Members", click the "Scouts" radio button and select "All Scouts". Under "Activities", select "All Levels" and all types. Do not filter on "Credit Toward". Remember where you saved the file so you can find it when you're ready to upload them. This will produce a PDF document. Open the PDF to verify that it contains the expected information on all of your scouts. In TroopWebHost, open the Advancement menu and select Upload Advancement, then select Upload Individual Participation PDF from TM Web 2.0 to view the page shown below. Click the Browse button to find the PDF file that you created from TM Web 2.0. Click the Upload Individual Participation PDF button to begin loading this data into TroopWebHost. Some scout troops use a relatively limited software package called ScoutBook™. It provides some of the same capabilities as TroopWebHost, primarily focused on rank advancement. Many troops using ScoutBook eventually migrate to TroopWebHost for its broader range of capabilities, especially in the areas of accounting and fundraising. If your troop is making this move, you can easily transfer most of your data electronically into TroopWebHost. The next four pages of this User Guide show how to upload these files into TroopWebHost. Due to the lack of insternal consistency that we've seen in the ScoutBook data, the transfer may not be 100%, but it will allow you to make a faster transition to the superior capabilities of TroopWebHost. Upload Scouts From ScoutBook. This will add your scouts to the system, with a User ID and Password for each one. Upload Adults From ScoutBook. This will process the "Leaders & Parents" file, adding an adult record for each entry along with a User ID and Password. Upload ScoutBook Advancement. This will process the "Scout Advancement" file, adding completed rank requirements, merit badges, and awards. Upload ScoutBook Participation History. This will transfer camping nights, service hours, and hiking miles from the "Camping, Hiking and Service Logs" file. The ScoutBook files do not indicate who the parents of each scout are, so our upload program cannot create these links. You will need to link parents to their scouts manually after both of these files have been loaded. The first file you should transfer from ScoutBook™ is the Scout file. It contains information about each scout in your troop. Begin by exporting the "Scouts" file from ScoutBook. Then log on to TroopWebHost, and from the Main Menu go to Membership → Upload Members → Upload Scouts From ScoutBook. Click the Browse button to find the Scouts file that you exported from ScoutBook™. This will add each scout to the Active Scouts page. It will also create a User ID and Password for each scout. It will not create a relationship between the scout and his parents, since that relationship information is not provided in the ScoutBook file. It will only link a scout to his patrol if that patrol has already been created in TroopWebHost with exactly the same name as appears in the file. The two checkboxes on the screen only apply if you already have membership data in TroopWebHost. If you check Update Existing Records the system will attempt to find a match on BSA ID or first and last name and date of birth and apply all of the information in the upload file to your TroopWebHost database. These options allow you to keep your TroopWebHost database in synch with ScoutBook™. We do not recommend this approach because it will overwrite any changes made to the data directly in TroopWebHost. Since each member has the ability to update their own contact information from the My Stuff menu, you really can't prevent this. If you do choose to update existing records, we recommend using the Trial Run option the first time you process each new file to verify what records will be added and which will be updated. 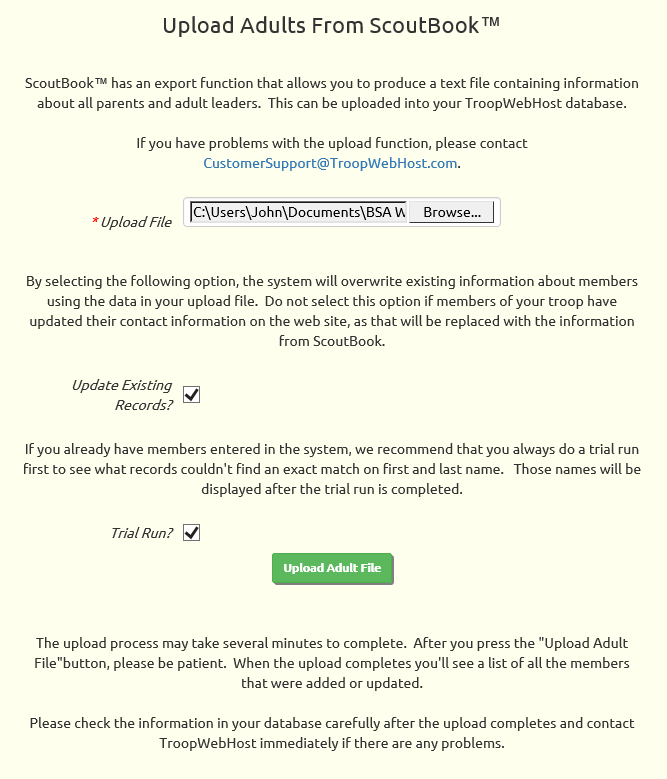 The next file you should transfer from ScoutBook™ is the Adults file. It contains information about each parent and adult leader in your troop. Begin by exporting the "Leaders & Parents" file from ScoutBook. Then log on to TroopWebHost, and from the Main Menu go to Membership → Upload Members → Upload Adults From ScoutBook. Click the Browse button to find the Adults file that you exported from ScoutBook™. This will add each adult to the Active Scouts page. It will also create a User ID and Password for each adult. It will not create a relationship between the adult and his scouts, since that relationship information is not provided in the ScoutBook file. Use the Active Adults page to create these relationships. On the detail page for a given adult, scroll to the bottom to find the Add Scout Relationship button. If you check Update Existing Records the system will attempt to find a match on BSA ID or first and last name and apply all of the information in the upload file to your TroopWebHost database. 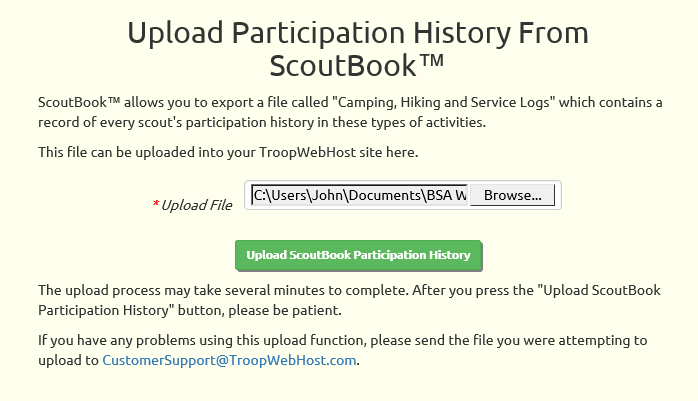 Once you've uploaded your scouts from ScoutBook™, you can proceed to upload the "Camping, Hiking and Service Logs" file from ScoutBook. This will add each scout's participation history to the Credit For Other Activity for that scout in your TroopWebHost database. Begin by exporting the "Camping, Hiking and Service Logs" file from ScoutBook. Then log on to TroopWebHost, and from the Main Menu go to Advancement → Upload Advancement → Upload ScoutBook Participation History. Click the Browse button to find the log file that you exported from ScoutBook™. Click the Upload ScoutBook Participation History button to begin loading this data into TroopWebHost. The file does not include any distinction between community service hours and conservation service hours, so all hours will be logged as community service in TroopWebHost. Similarly, the file does not include any distinction between tent camping nights and cabin camping nights, so these will all be recorded as regular camping nights in TroopWebHost, not cabin camping. There is also no distinction between hiking miles and backpacking miles, so all miles will be recorded as hiking miles. Any necessary corrections should be made in TroopWebHost after the upload is complete. Some scout troops use a software package called ScoutTrack™. It provides some of the same capabilities as TroopWebHost. 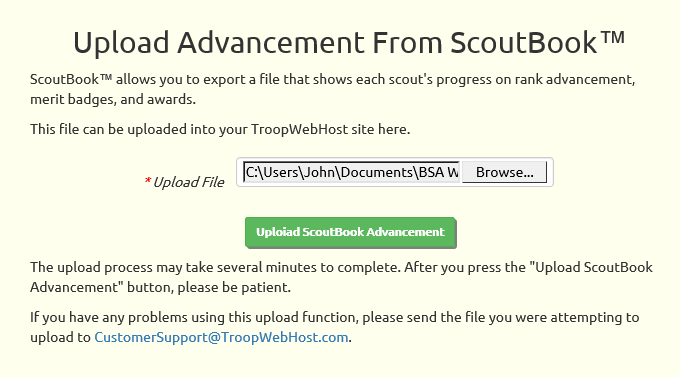 Use Upload Scouts From ScoutTrack to upload scouts from the ScoutTrackExport tab. Use Upload Adults From ScoutTrack to upload parents and adult leaders from the ScoutTrackAdults tab. To create files suitable for upload, you will need to open the spreadsheet in Excel, and then save the contents of the first two tabs as separate tab-delimited text files. From the Excel File menu, select Save As. This will display a file browser window as shown below. Select "Text (Tab delimited) (*.txt)" from the Save as Type choice list. After you upload both files, you will need to create the relationships between the scouts and their parents. You can do this from the Active Adults page. Update a parent and scroll to the bottom of the page, where you will see the Add Scout Relationship button. Click this button to begin linking this adult to their scouts. Your troop may also be able to obtain advancement data from your Council's registration office. If so, you can load completed ranks, merit badges, and awards into TroopWebHost from this file. This file is available from the Internet Advancement section of your Council's site. It is called Member Summary Export. If you cannot find it on their site, please contact your Council to see if they can obtain it for you. Once you have this file, go to Advancement → Upload Advancement → Upload ScoutNet Advancement to see a page like the one shown below. This function will add completed ranks, merit badges, and awards. If the scout was already working on a merit badge or award, it will fill in the Date Earned to mark it complete. It will not mark off the requirements as complete. It can match your scouts either on the BSA ID or on the exact spelling of their first name, middle name, last name, and name suffix. It will display a list of the scouts for whom it could not find a match when it completes. It will match the award based on the exact spelling of the name of the award. It will display a list of the items for which it could not find a match when it completes. If there are ranks or merit badges on this list, please send this list to CustomerSupport@TroopWebHost.com. If there are awards on this list, go to Site Configuration → Special Awards and either update existing items to match the spelling or add new items to the list. You can upload the same file - or new files - as often as you like. If the scout already has that rank or merit badge or award, the system will simply bypass it. If your troop is moving from TroopMaster™ you should be able to upload your scouts and adults using files exported from that program. If you are using another method to keep track of members and rank advancement, you may be able to create a CSV file in the same format as the TroopMaster™ export files. You can then use our upload functions to upload your data into TroopWebHost. If you create a file using a spreadsheet program, like Microsoft Excel, be sure to save it in the CSV format. The first row of each file must contain the column names. They must be spelled exactly right because this is how our upload program knows what data is in each column. The Scout File contains one row for each scout. The Adult File is only for adult leaders who are not parents. The Rank Dates File contains one row for each scout. The Merit Badges File contains one row for each scout. You'll notice that the Rank Dates file and the Merit Badges file uses the nickname of the scout instead of his last name as one of the identifiers. This must match the nickname that was in the Scout File that you uploaded first. The Scout File should be loaded first. Notice that it also has information about the scout's parents. If you include the parent information in this file, they will be automatically linked to their scouts. The system will also create user ID's and passwords for the parents so they can access the troop website. The Rank Dates file will be a little tricky to assemble manually. It has one row for each scout. It begins with several fields that identify the scout, followed by the date he earned each rank requirement, starting with the first requirement for Boy Scout. For any requirement that this scout has not yet earned, you just leave it empty by entering a comma. In this example, the scout had not yet completed the fourth requirement for Boy Scout. Here is one of the tricky parts: do not include a position for the merit badge requirements (requirement #3) for Star, Life, and Eagle. Those will be calculated automatically when you upload or enter the merit badges the scout completed. Here is the other tricky part: this template is based on the 2010 BSA™ requirements for each rank. If you are not clear on what those requirements are, go to the Individual Advancements page and click the Rank button for any scout, then go to each of the tabs to view the requirements. The Merit Badges File also contains one row for each scout. After the identifying information, it has pairs of values that identify each merit badge earned by the scout and the date on which it was earned. The merit badges are identified by the BSA Advancement ID. You can look these up at several websites, including MeritBadge.com. In this example, Willy Smith earned Camping merit badge (BSA Advancement ID #1) on 7/15/2010, Cycling (#39) on 10/31/2010, and Lifesaving (#9) on 7/16/2010. Note that you only include the merit badges that have been earned, not those that are in progress. The last section of your Startup Checklist is entitled Roll Out. This is when you get the rest of your troop involved with using your new website. Schedule time at a troop meeting to make a presentation about the website. If it is possible to have a video projection system and web connection, display your site and demonstrate how it works. If not, bring handouts that provide the basics on how to get started. How to get to your new site. How to view the troop calendar. How to sign up for events. How to view your account balance and transaction history. This is also a great opportunity to teach your scouts about Internet safety. Now you need to be sure you have a plan for keeping all of the information on your site up to date. Meet with your committee and scoutmasters to review roles and responsibilities. Consider which tasks can be done by scout leaders, such as your scribe, historian and senior patrol leader. Some choices will be obvious, but should still be reviewed. 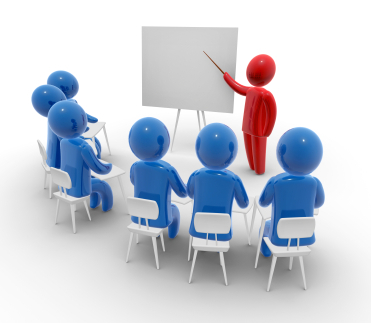 Make sure your treasurer understands how to use the on-line accounting system. Talk to your advancement chair about keeping up with requirements as they are earned. Above all, be sure to spread the load. Managing your troop can be easy if everyone does their part! When Microsoft released Internet Explorer 11, we recommended that users add TroopWebHost to their Compatibility View list. This is no longer necessary now that we've upgraded our software to be fully HTML 5 compatible. For best results, we now recommend that you remove your site from the Compatibility View list if you are using Internet Explorer 11. Click on the row that says TroopWebHost.org so that it is highlighted as shown above, then click the Remove button to remove it from the list. Press the Close button to complete this process. We bought a custom URL for our troop. Why doesn't that show up in my browser's address line? 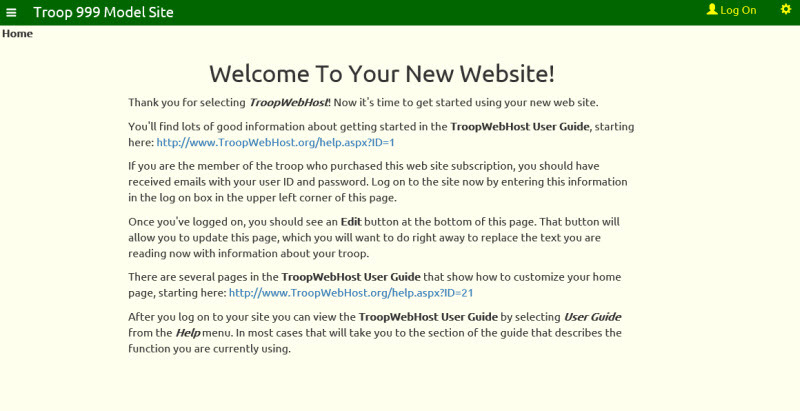 Let's suppose your troop purchased a custom URL of www.MyTroop999.com. You can tell the world - and especially your troop - to use this URL to get to your site. This will help everyone because it is so easy to remember. We redirected your browser to this location because that is where the TroopWebHost software is installed. Otherwise, we would have to install a separate copy of the software for each troop, which would cause it to run more slowly and would make it difficult for us to roll out new versions. Can we continue to use TroopMaster™ and use the upload functions to keep our data in synch? While it is possible to use TroopWebHost in this fashion, we do not recommend this approach. Since TroopMaster™ does not export information about individual merit badge requirements that have been completed, your scouts will not be able to view an accurate picture of their remaining requirements when they go to the site. If a troop member updates his contact information on-line from the My Stuff menu, you could overwrite it the next time you upload your scout records. You would also need to be careful not to create duplicate membership records. This can happen if the spelling of the person's name changes in either system, or if a scout's date of birth is changed in either system. If this happens, the upload program will not find a match and so will create a new record for this individual. You can guard against this by always using the Trial Run option the first time you upload any new file. This will allow you to review the records that would have been added and make the necessary corrections before committing the data to your database. There are some troops that use the system in this way, but they are losing out on the ability to share the work of keeping your troop's information up to date - which is one of the big benefits of taking your troop on-line! I uploaded our merit badges from TroopMaster™, but I don't see the partial merit badges. What did I do wrong? Unfortunately, the TroopMaster™ merit badge export file does not include merit badges that have been started but not completed. You will have to enter those merit badges manually. As much as we would like to provide this capability, we're afraid that it simply is not possible at this time. 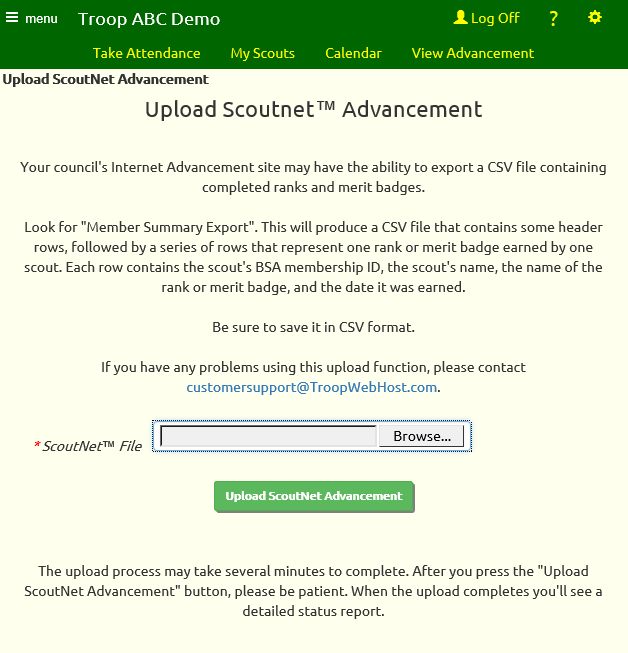 We have seen samples of the ScoutTrack™ export files for rank advancement and merit badges. Unfortunately, there are problems with each file that would prevent us from creating a reliable upload function. When I try to access the site from my iPhone it returns me to the main TroopWebHost page. What am I doing wrong? Go to the “Settings” app on your iPhone and scroll down to “Safari”. Select “Safari”. Find the “Block Cookies” option and set it to “Never”. Then scroll down to “Advanced” and select that. Then go back to Safari and try to access your site. I expect it will work just fine.